If you are in New York, to avoid the potential for fire starting inside your dryer, you need to have this cleaned by a professional company. 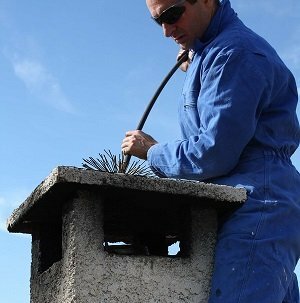 New York Dryer Vent Cleaning, a company that services Manhattan, Staten Island, Brooklyn, Bronx, and Queens can help you prevent this from happening by cleaning your vents professionally. If you have one or more dryers at your home, you may not think very much about your dryer. Most people do not understand how easy it is for this vent to catch fire internally. There is a substantial amount of heat that will exit the dryer, air that is supposed to be final to the outside. However, as lint buildup inside of the vent, this can create blockage, and this could ultimately lead to a fire starting that could cause catastrophic damage. To resolve this issue, you need to contact a Dryer Vent Fire Hazard – Clean Your Dryer Vent Company company that can clean this for you effectively. The New York Dryer Vent Cleaning company is a top choice for those that are looking for professional vent cleaning services. They can quickly and efficiently remove lint, and other particulates, from the interior of your dryer vents system. There are many benefits to doing this, including the most obvious which is preventing fires from potentially starting. Some of the other benefits include improving the efficiency of the dryer, and also extending the life of your dryer which will not overheat due to a persistently blocked dryer of it. To schedule an appointment with this drye rvent fire hazard Clean Your Dryer Vent company, you can go to their website at newyorkdryerventcleaning.com. You can find contact information there, including their phone number, as well as a form that you can fill out to request an appointment. While you are there, you can look at the other services that they offer which go far beyond cleaning your dryer vents. 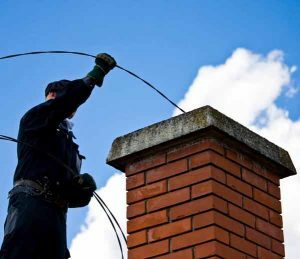 In addition to cleaning your dryer events, this company also provides air duct cleaning services, New York hood cleaning, and chimney sweep services. In all of these areas of your home, there is the potential for fire. Air ducting systems can also house bacteria, viruses, pollen, and other forms of particulate matter that can lead to illness or the development of asthma. To protect your family, as well as yourself, you need to clean these areas of your home as quickly as possible. That’s why contacting the New York Dryer Vent Cleaning company is something that you should consider doing today.